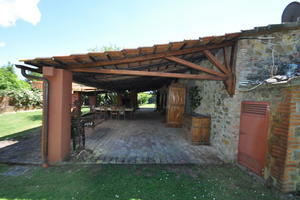 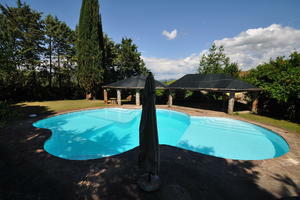 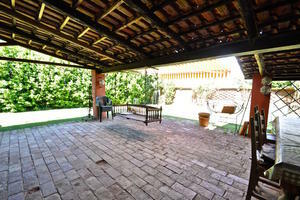 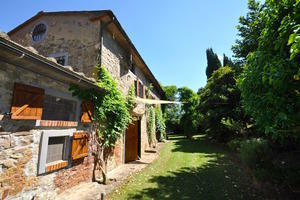 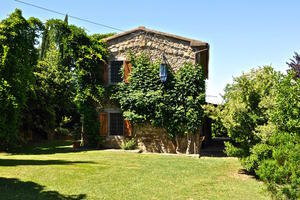 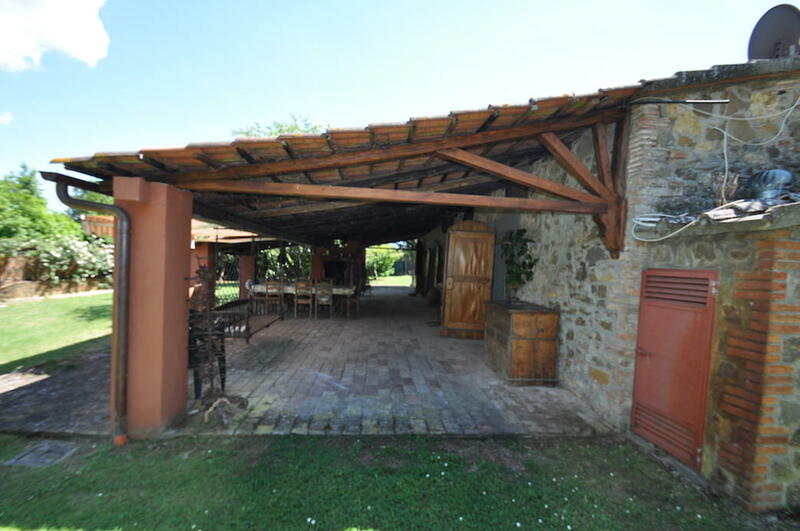 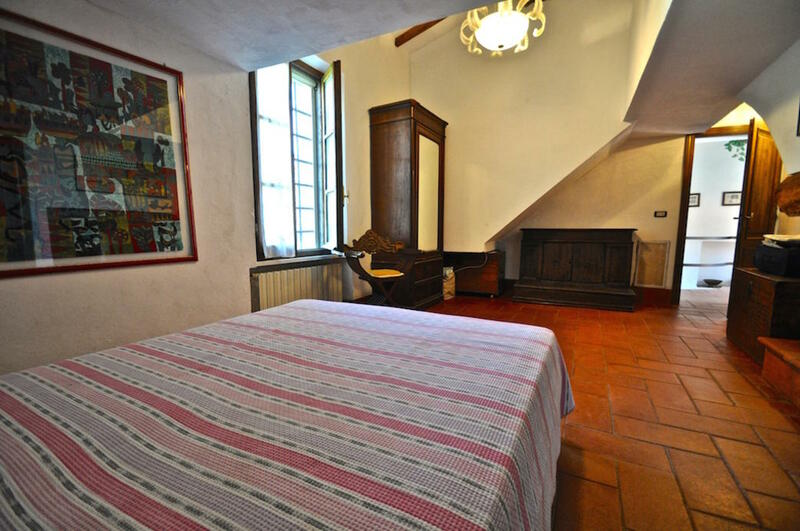 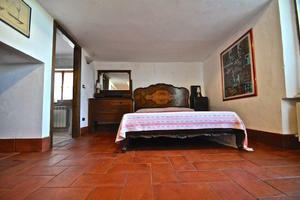 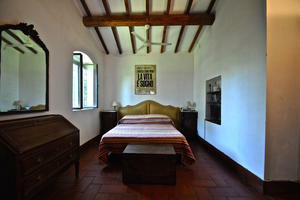 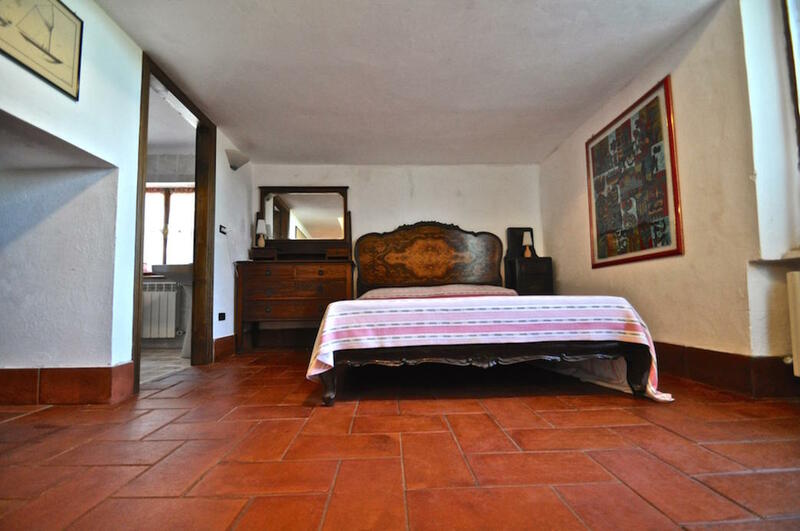 Stone-built farmhouse for sale in Tuscany, close to Castiglione della Pescaia. 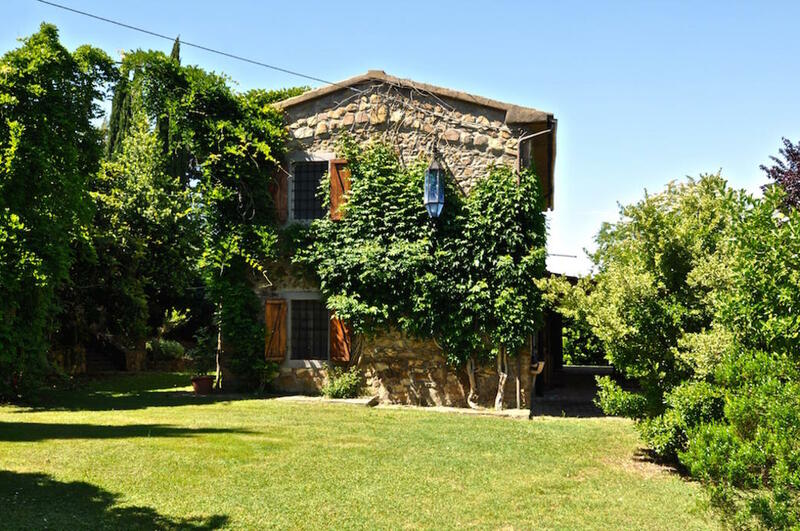 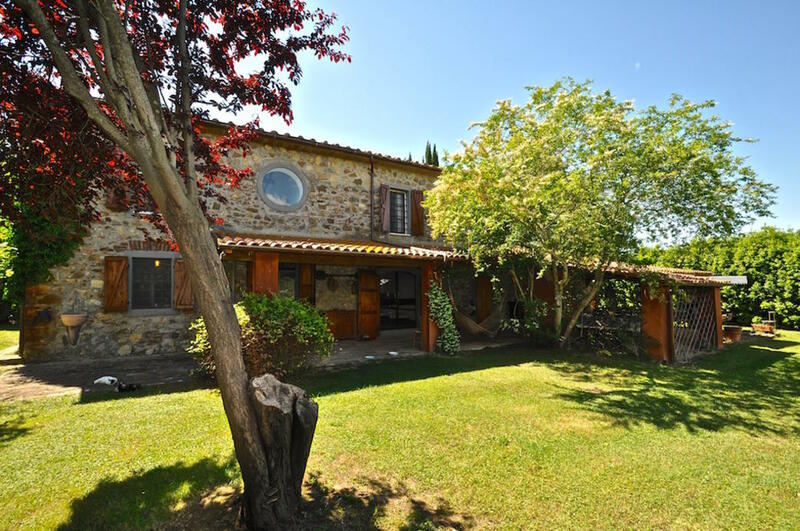 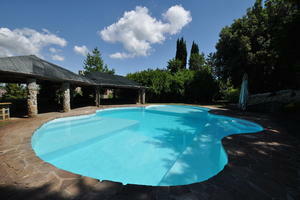 In the prestigious Maremma countryside between the village of Vetulonia and the seaside of Castiglione della Pescaia, we present this old farmhouse of 300 square meteres, complete with swimming pool and surrounded by 2.5 hectares of land. 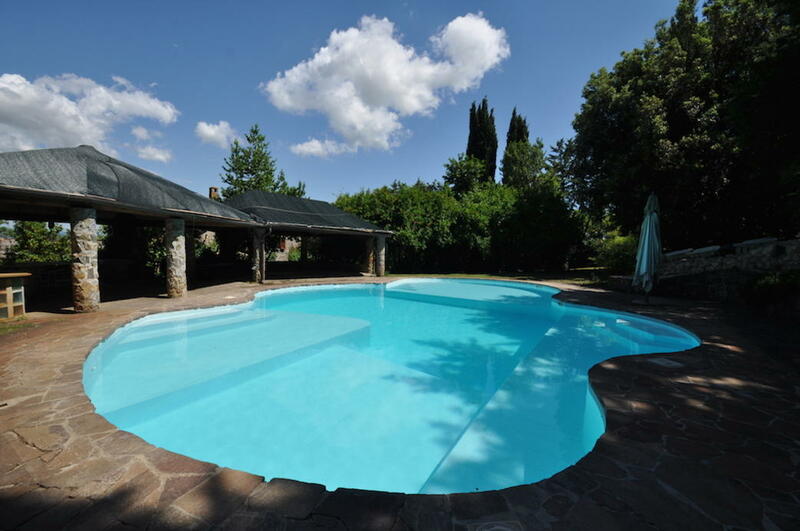 The property is in a good state of repair and benefits from a lush fenced garden of 3000 sqm, large curved swimming pool and spacious pergola of 100 sqm located infront of the property, enjoyable almost all year round. 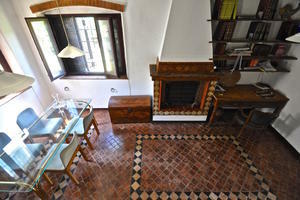 Briefly comprising on the ground floor, kitchen with wood stove, double living room with large French windows overlooking the garden and two bathrooms. 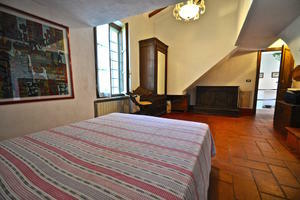 On the first floor there is the master bedroom with en-suite bathroom and a second double bedroom with bathroom. 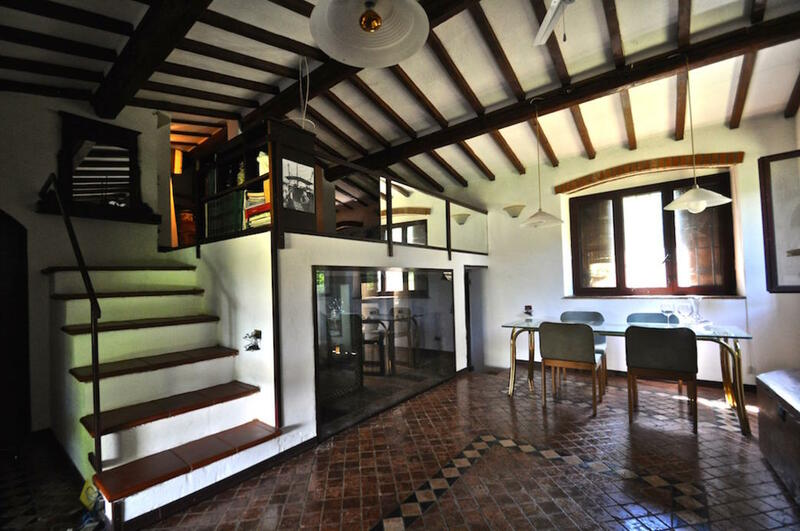 An internal staircase leads to the attic where there is a third bedroom with ensuite bathroom.The location is gently hilly, easily accessible by road. 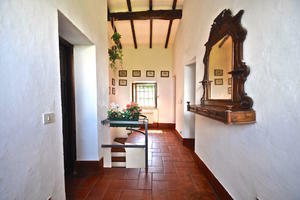 All utilities are active, there is a well for irrigation and heating is LPG. 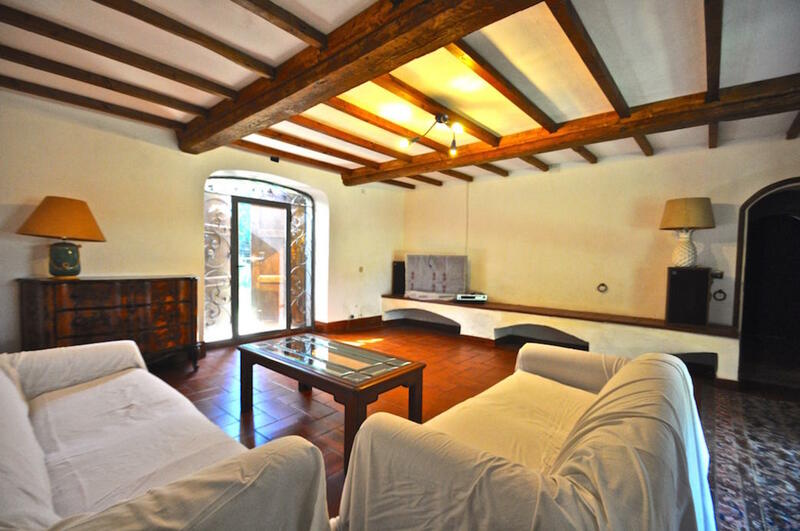 We are in a fascinating place, surrounded of rolling hills and olive trees and influenced by the sea with a mild climate throughout the year.